First Reference Talks readers and 2016 Employment Law Conference attendees were introduced to two new proposed leaves in Ontario, Employee Leave of Absence When Child Dies and Domestic and Sexual Violence Workplace Leave. Bill 175, Jonathan’s Law (Employee Leave of Absence When Child Dies), 2016 and Bill 177, Domestic and Sexual Violence Workplace Leave, Accommodation and Training Act, 2016 would, if enacted, amend Ontario’s Employment Standards Act, 2000 (“ESA”). Both proposed laws are private members bills and still in their early stages. They may be amended prior to being passed or die on the order paper. Nonetheless, it is important that employers are well aware of such leaves and the possible effect they may have on their organization. At the June 2, 2016 Ontario Employment Law Conference, sponsored by First Reference and Stringer LLP, employment law experts discussed the two new proposed ESA leaves to help employers understand what it would mean for their organizations. I went to employment lawyer Frank Portman of Stringer LLP to ask a few questions I thought our readers would want answers to. Q: Under Bill 175, Employee Leave of Absence When Child Dies, an employee would be entitled to a 12 month unpaid leave from the date of the death. With this new leave being so lengthy, it may require employers to keep positions open for long periods of time. That being said, what should employers’ hiring practices be at that time to fill that void position? Should they have co-workers chip in to help or should they consider hiring someone temporarily? Obviously, any decision will be highly dependent on the size and structure of the employer. Of course, the advantage of covering the work with other individuals is that there is no additional financial impact if the work can be covered without incurring overtime. However, in many cases such a redistribution of work is untenable. In such cases, temporary employees may be an excellent short-term solution. Also of note is that frequently, after long periods of leave and a traumatic event, employees simply choose not to return to the same workplace. This may leave employers in a lurch. If additional help is required, another option is to hire employees on contracts with short termination clauses. Although this may cost employers more than ending the engagement of a temporary worker, it will give the employer more flexibility, particularly if the replacement worker turns out to be a valuable employee in their own right and the employer wishes to maintain that relationship. Q: What would you consider to be two of the biggest hurdles that employers could encounter that stem from Bill 175 in its current form? In the event that Bill 175 is passed as is, how could employers effectively prepare so, when the time comes, they will be able to overcome those hurdles with less difficulty? The largest hurdle employers face in dealing with this leave is quite simply the ability to absorb a 12-month absence. This is particularly true of senior personnel, for whom a temporary replacement may be impossible to find, and whose duties may not be easily transferable. Having contingency plans in place for the long-term absence of critical employees may be advisable for organizations concerned about the impact of such absences. The other hurdle, as with any ESA protected leave, is the requirement that the employee be returned to the same position, or if not possible, one reasonably similar at the end of the leave. In many cases, in responding to a long-term absence, employers will reorganize so as to minimize the impact of the missing employee. This can result in a new structure wherein the employee’s old position is redundant or less efficient. Employers must be mindful of the fact that an employee will be eligible to return 12 months after the leave, and be aware of the need to restore them to a similar position, even if that requires further reorganization. Q: Do you think the government should consider making any revisions to Bill 175, or do you think this new leave is manageable for employers and more or less evenly compares to the other current leaves enacted under the ESA? Ideally, in the case of long leaves there would be an undue hardship analysis that could apply, akin to that in human rights legislation. Most employers will be aware of the requirements in long-term accommodation of disabilities. Accommodation in that context requires an individualized assessment of the employee’s circumstances, but also an analysis of the employer’s operation, and what can reasonably be done to accommodate the employee that does not result in an undue hardship. This would protect smaller employers for whom the long-term absence of a single employee can be a serious threat to operational continuity. As it currently stands, a leave under the ESA does not consider the circumstances of the employer, which can lead to significant problems that could be avoided with a more flexible, contextual approach such as that adapted by many employers in similar circumstances. While both these leaves obviously import new, significant obligations on employers, fortunately for most employers the situations giving rise to these leaves will be uncommon. While the leave of absence in the case of a child death is long, it mirrors a combined pregnancy/parental leave in length, with which most employers will be familiar. More likely to be disruptive are the Domestic Violence or Sexual Violence Leaves due to their unpredictable and inconsistent scheduling. Q: Looking at Bill 177, Domestic and Sexual Violence Workplace Leave, with it being the first and only paid leave under the ESA, what would be the best approach that employers should take in order to effectively revamp their workplace policies and practices, while modifying their budgets to pay for the new costs associated with Bill 177? What could employers do to help relieve this burden? Readers will remember that Domestic and Sexual Violence Workplace Leave (DVSV Leave) gives employees up to ten paid days off work for matters relating to workplace domestic and sexual violence. After that point, additional unpaid leave time may be taken if required. Larger employers will be more easily able to absorb any operational impact from employees taking the leave. Indeed, from an operational perspective, the DVSV Leave closely mirrors personal emergency leave, with which any employer with over 50 employees will be familiar (with the obvious caveat that emergency leave is unpaid). For those employers, the most critical aspect of the administration of DVSV Leave is ensuring that they have the appropriate paperwork and notice for each day of leave taken. In order to avoid complaints from employees and confusion by management, clear policies setting out the documentation requirements for taking the leave and the need for prompt notice will help alleviate the strain associated with administering the leave. Smaller employees face a more difficult task. For these employers, the same need for clear, precise policies governing documentation and notice are critical. However, such employers must also take into account the potential for operational conflicts and budgetary impact. Keeping track of those employees who have taken legitimate DVSV Leave in the past will help employers to keep track of those employees who may have a sudden, unplanned absence due to the taking of the leave days. Plans should be made to ensure operational continuity by temporarily redistributing work to other employees, or if necessary, call in a temporary worker on short notice. This may result in overtime for other employees or the cost of temporary workers, so ensuring a sufficient reserve fund is available to absorb such a contingency is critical. 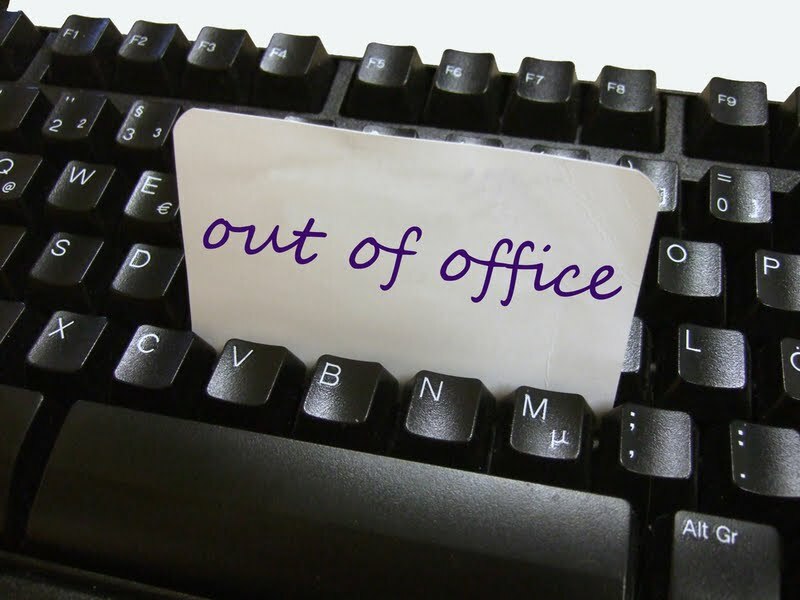 Given that the entitlement to DVSV Leave has no connection to when the incident giving rise to the entitlement occurred, once an employee takes a day of DVSV Leave, employers should consider themselves on notice that that employee will likely be taking more days on an irregular basis. It can be helpful in such circumstances to discuss with the employee the importance of giving as much notice as possible for operational planning and for the employer to build short-term contingency plans for their absences. However, ultimately an employer has little legal leverage to require significant advance notice of such a leave. Q: Essentially Bill 177 leaves it up to the employer to decide whether or not an employee’s use of a leave of absence is legitimate based on a list of “purposes” for using the leave, as provided under the Bill. That being said, how could this be problematic for employers? What are some best practices employers could adopt to steer clear of any of those problems? Employers will be put into the awkward position of requiring very specific, deeply personal information in order to validate DVSV Leave. Both human resources professionals and employees may resent the need for documentation of the reasons for the information. Employees will be required, for each day of leave, to provide specific information about the type of protected activity in which they are engaged. Given that, it is important for both parties that the requirements for the taking of such leaves are established well in advance and communicated through policy. Employers would be well advised to make sure that documentation supporting the leave is provided from an outside professional (doctor, police, lawyer) that provides sufficient information to support the leave. Larger employers may consider creating standardized forms with the assistance of counsel that can be taken by employees and provided to the appropriate professional. By having these forms, the inquiry process is simplified, and can lessen the impression that the process is confrontational. This in turn can lead to more cooperation from employees. Policies should reserve to the employer the ability to request additional information beyond the completed form if reasonable. A completed form is not a guarantee of leave – it is simply information that the employer may find satisfies it that the leave is legitimate. Where the employer has legitimate reasons to inquire further as to the legitimacy of the leave, human resource professionals should be trained and empowered to request further information that satisfies them about the legitimacy of the leave. Q: What would you consider to be two of the biggest hurdles that employers could encounter that stem from Bill 177 in its current form? In the event that Bill 177 is passed as is, how could employers effectively prepare so, when the time comes, they will be able to overcome those hurdles with less difficulty? The most difficult hurdle for employers will be to determine the appropriate level of documentation which will satisfy them that the DVSV Leave is legitimately taken. Since DVSV Leave is a paid leave, it may be more likely to be the subject of abuse by unscrupulous employees. If such leave is questionable, a member of the HR department or management may inquire further for reasonable confirming information without unnecessarily aggravating a tense situation. Unduly intrusive investigation could attract complaints of human rights violations. The other difficult hurdle is the indeterminate length of time for which an employee is eligible for DVSV Leave. An employee who becomes entitled to the leave could need long-term support from mental health and other professionals throughout the lifetime of the employment relationship. As a consequence, employees may legitimately access the leaves over the course of years or even decades. Strategies for dealing with the operational and financial impact of such unplanned absences should have a view to both the short- and long-term. First Reference will be following the developments of Bill 175 and Bill 177. See HRinfodesk for the most important news, developments and trends in the world of employment law. If you are not already a subscriber, receive a 8-issue free trial here!